Sonnagh National School is situated in the Slieve Aughty Hills on the border between south-east Co. Galway and north-east Co. Clare. 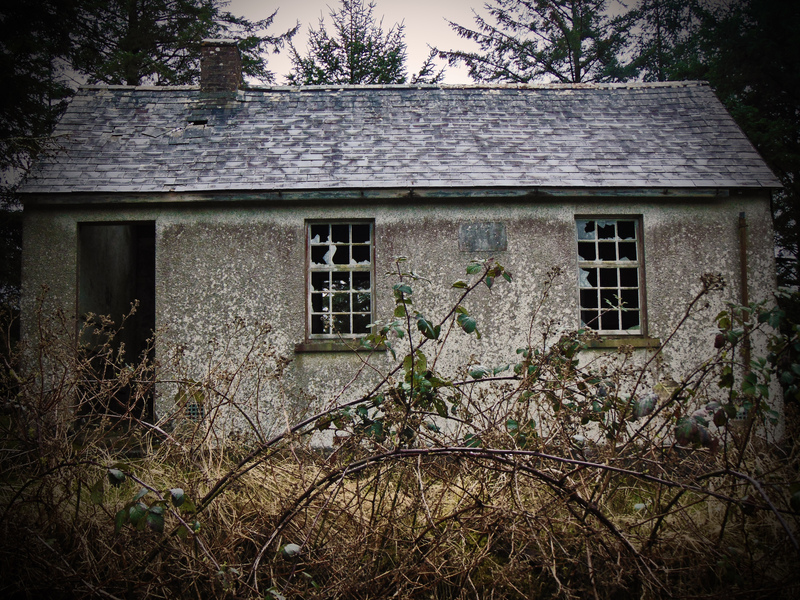 It is one of a number of disused school houses located in the beautifully desolate landscape of the Aughtys. Like Scoil Cill Criosta and Reyrawer National School, Sonnagh National School stands in the low rounded hills of the Aughtys as a testament to the now dispersed people who lived and farmed in this area in the decades past. The now forested hill-sides are dotted with the ruins of former farmsteads. The former pasture and rough grazing lands have been sown with coniferous plantations, and the ubiquitous and imposing wind-turbines highlight the movement away from agrarian living in this area, as an alternative and profitable use is sought for this now people-less landscape. 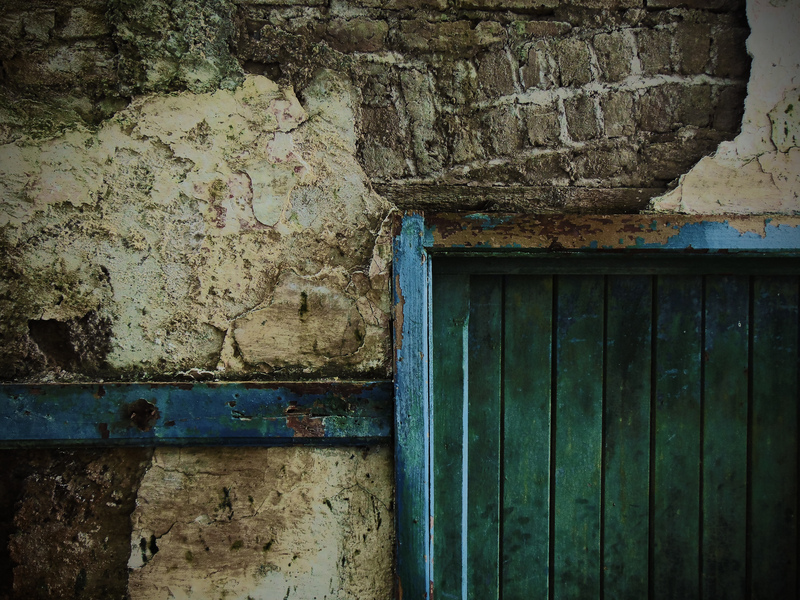 In the Aughtys, the result is an empty space, a desolate place where few people live. An unintended but welcome consequence of this depopulation is the creation of a welcome retreat from the ribbon development popular across much of the Irish landscape – though the anthropogenic forests bear a hunting watermark of former settlement, with field boundaries, bóithríns, houses, farms, and infrastructure such as disused schools, hidden throughout the forests. When Sonnagh National School was in use, this was a lived-in landscape which supported a scattered, largely agrarian population. With the movement away from this lifestyle, the landscape was emptied and the school was no longer needed. The plaque on the eastern gable of the building dates the construction of the school to 1891. It closed in the late 1950s. The place-name Sonnagh has been translated as ‘rampart’ by the Irish place-names commission (Bunachar Logainmneacha na hÉireann). The term ‘Sonnagh’ has also been interpreted as ‘mound’ in other places, though it is difficult to identify today what mound or rampart the place-name refers to. Within the townland and hidden in the forest to the north-east of the school is RMP GA115-050, a native enclosed ringfort settlement, typical of the Early and High Medieval Period in Ireland. The term ‘Sonnagh’ may refer to the the ramparts of this early settlement, or indeed to the natural rampart-like features of the hilly landscape itself. Regardless, the presence of this early native enclosed settlement demonstrates that although empty today, these uplands had been populated for a significant period of time. 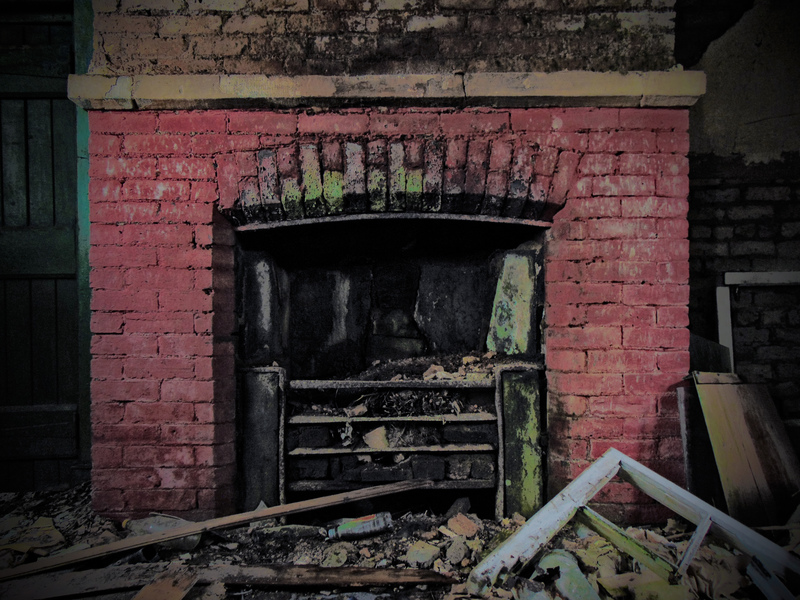 The school building comprises a detached, single-storey, three-bay,one-roomed school house of rubble and brick construction, with a pitched slate roof situated in the forestry plantation to the north of Francis Gap. The fireplace is located at the southern end of the building. There is a collapsed dry-toilet block located to the west and rear of the school building. Most aesthetically pleasing, though in a ruinous state, is the adjacent school master’s house to the north. The plaque on the eastern wall dates the building to 1891. 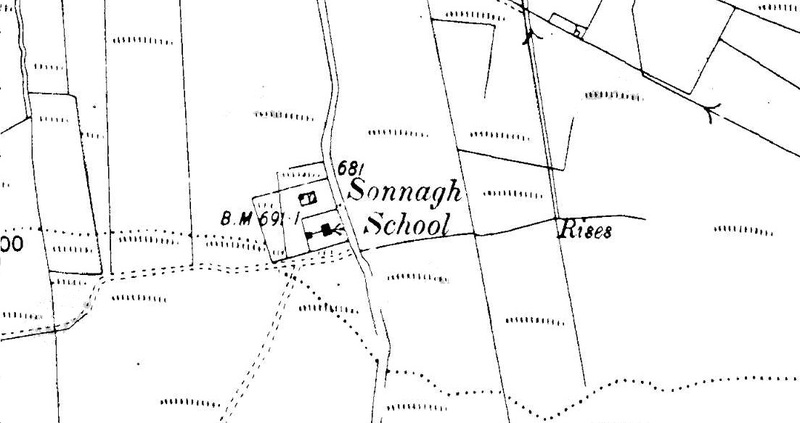 However, the First Edition Ordnance Survey (1830s) sheet shows that it is not the earliest school house in the area, with a school house marked at another location 500 m north of here on the Francis Gap road. The building is today in a poor state of preservation, with the suspended floor now collapsing dangerously beneath your feet. 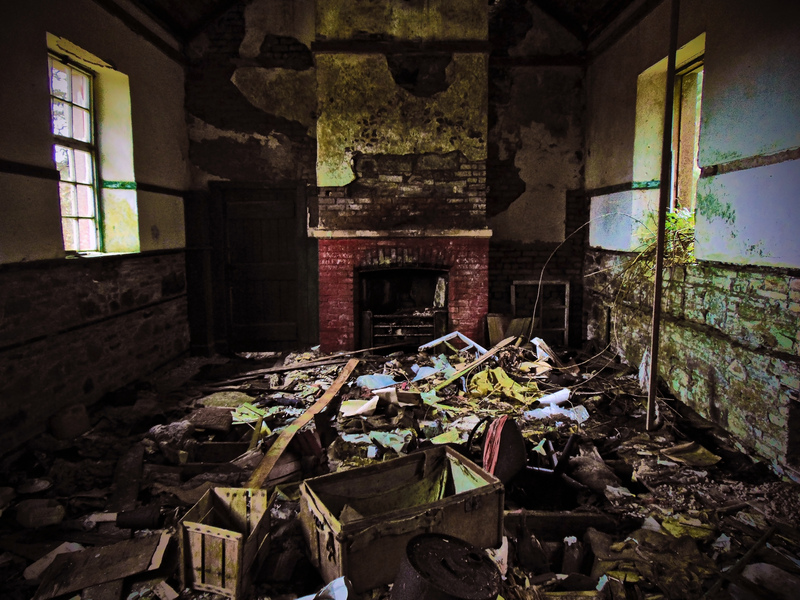 Inside, it is strewn with domestic rubbish though a single original school desk remains. The photographs above show the classroom at Sonnagh NS as it is today. Below are three photographs (courtesy of the Clonfert Diocesan Archives) taken at the school in the early 1940s. They show confirmation candidates in 1943, a view of the school from the outside before the area was planted with coniferous forests, and an internal view of the classroom including the fireplace and schools desks. There is a striking contrast between the bare grazing lands of the Sleive Aughtys in the 1940s, and the forested lands that occur there today. Below is an extract from the Irish Folklore Commission’s Schools Folklore Scheme (1937-38) gathered by school pupil Delia Hynes in the townland in 1938. It relates some information about the landscape around Sonnagh at the time, being described as ‘healthy in the summer… …dreary in the winter’. 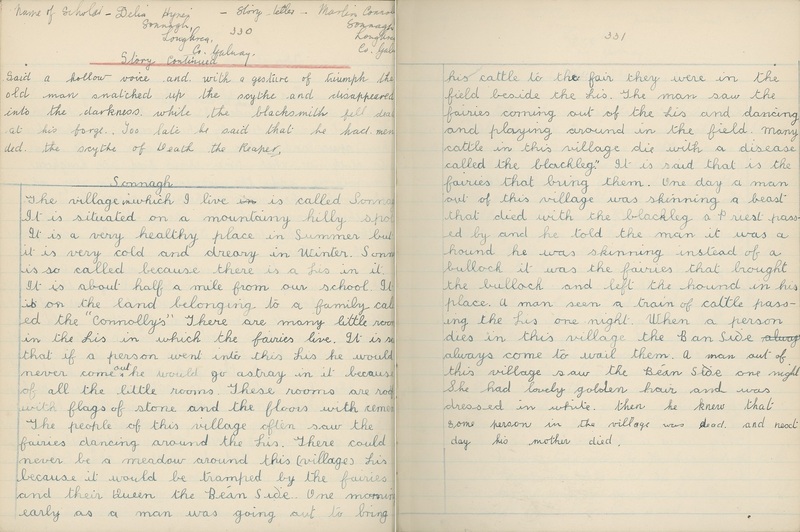 This extract also relates some of the pisreogs known by the school children relating to the nearby ringfort. Parallels can be drawn between the recent development of the landscape of the Slieve Aughtys, and other parts of Ireland where the lands have become depopulated through the second-half of the 20th century. Regions such as north-west Mayo, parts of Galway, Leitrim, parts of Clare, Kerry, Cork, and so many other rural areas around Ireland are being reclaimed by forestry plantations. Such movements echo similar population dispersal and land clearance on a grand scale in the Highlands of Scotland centuries beforehand, where sheep replaced tenant farmers in the landscape to ensure an income from vast estates of rough land thought to be of low productivity. This population displacement created Scotland’s expansive and breathtaking wilderness to the north. It is a bittersweet circumstance. Although the creation of wilderness is welcomed, is this being done with a holistic vision of both the cultural and physical landscape? Are these anthropogenic, rectilinear forests being superimposed on the landscape without appropriate regard for cultural heritage in an effort to make them profitable? And should a greater effort be made to blend these forests with the natural and cultural landscape? Are important but unrecognised elements of our cultural heritage being swallowed up by forestry plantations? Wonderful post! I always feel a little sad when I see abandoned schools. 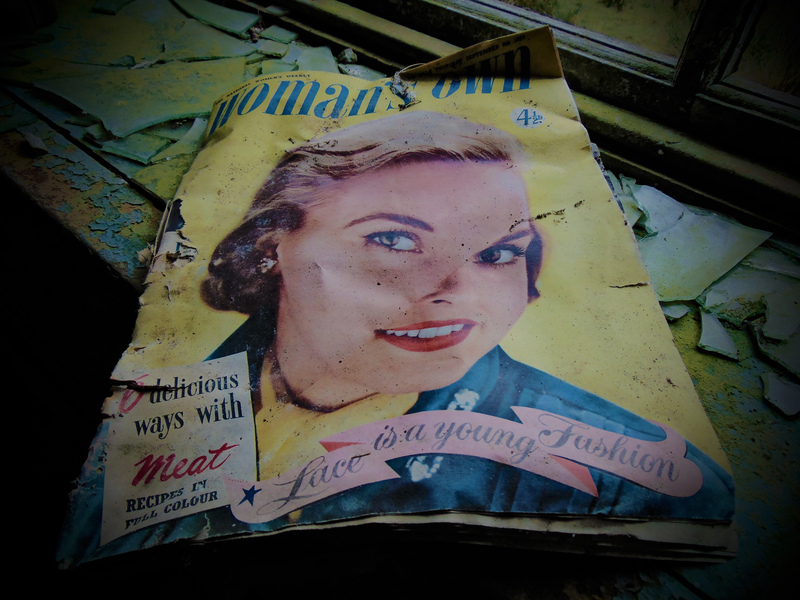 I know that times have changed–but these old building have a story to tell. Hi, i have an unusual situation, i think, in that my ancestors lived in offaly but rowed across the shannon river to attend school in galway. They lived near shannonharbour, ( i know exactly where they lived according to the griffiths valuation) but iwould love to find the location of the school. My guess as to the timing of this school would be c1840 to c1870, as these are the dates as to when the children lived there. 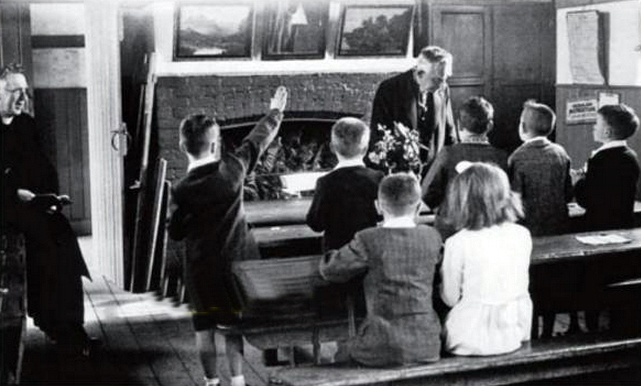 There were 9 children so they must have been at this school, this sory has been handed down to the descendants of one of the children – the surname is flynn. Hi Genevieve! That’s a very interesting piece of information, could you send me the exact location of where they lived and I can check it out. Thanks for visiting the Blog! Thanks for posting this! I stumbled across it as I’m currently making a film about my Granddad and he was telling me this is the school he went to as a child. I’m looking to come over to Ireland to film and visit all the places he talks about. Could you let me know if it is still possible to get into this school building? Hi Joel – thank you for your message. I don’t know for sure if you can still get in, but the last time i was there in 2015 you certainly could – I doubt the situation has changed. Thanks for your reply Enda, is it possible to send me the exact address please?